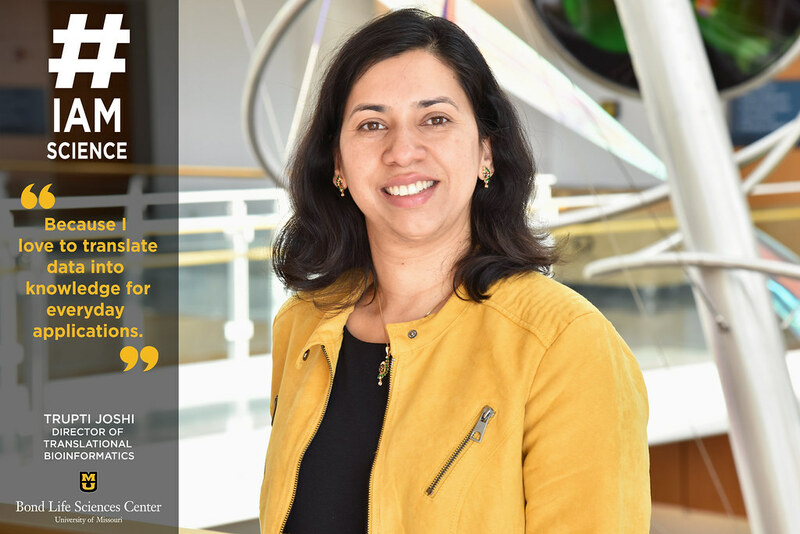 Juggling research, teaching, collaborative meetings, grant writing, and training postdocs and students is no problem for Trupti Joshi. That array of responsibilities is just part of the job for a Bond LSC researcher focused on bioinformatics, an area that connects so many types of science by collecting and analyzing genetic data. Dealing with genetic data might seem dry, but Joshi said the tools it uses answers questions that touch many areas of our world. While you can often catch Joshi doing research at one of her labs in Bond LSC and School of Medicine, her area is applicable to almost every corner of campus. That’s reflected in her many positions and titles across MU. She’s director of translational bioinformatics and assistant professor in the Department of Health Management and Informatics, has appointments as core faculty with the Informatics Institute, the Interdisciplinary Plant Group, the Department of Computer Science and a primary investigator at Bond LSC. Though Joshi trained as a clinical doctor prior to her doctoral degree, she believes she was destined to become involved with bioinformatics. 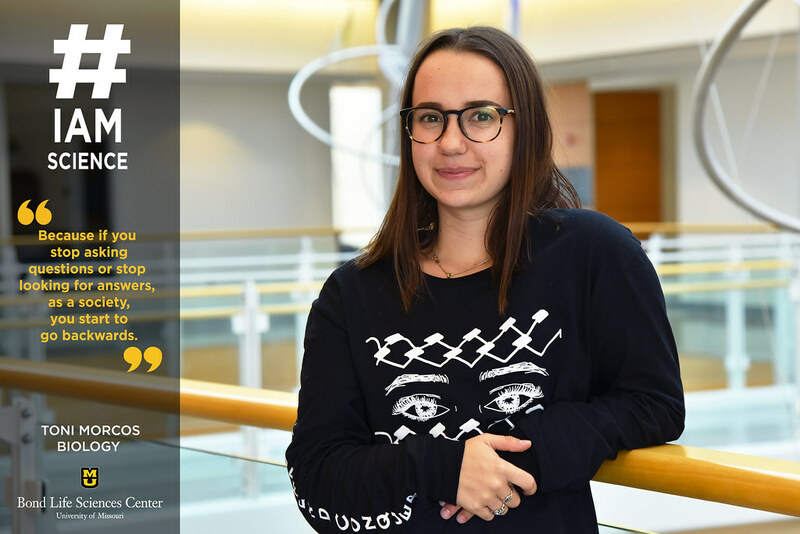 While she loves to draw and thought about architecture, her family’s trajectory always influenced her toward science. With her father being an engineer, her mother a mathematician, one sister a doctor and the other a computer science engineer, bioinformatics field gave a chance to marry all of these fields into one and be able to do a bit of everything. Joshi hopes she influences others in their career paths. And the constant interaction with collaborator has kept her eager to get to the lab each morning and making discoveries for 18 years. Orchids are just weird. No, like really weird, even bizarre. But sixth-year biological sciences Ph.D. student Sarah Unruh likes bizarre things. That last property has led Unruh to spend years exploring a delicate interaction between orchids and fungi that give the plant what it needs. Understanding how orchids are out of the ordinary led Unruh down her scientific path. Before coming to MU, Unruh volunteered at the St. Louis Zoo in the education department in high school. She wanted to study something similar to ecology and conservation, but ended up doing a double major in biology and education. And then her path took a turn. Unruh found that question after joining Chris Pires lab in Bond LSC. The lab focuses on evolutionary biology in plant species. After working on them for a while she realized there were a few difficulties orchids posed in the lab. And that lack of research made her really look at exactly what this interaction, or friendship, means. This research has led Unruh all over the world including science conferences in Hong Kong and Costa Rica. Throughout her travels and collaborations, she has gained another tool for her research, Twitter. Unruh said the connection between science and her everyday life makes her think differently. Seeing the world differently has opened new perspectives and motivations in her everyday research. You’ve probably seen TV in shows like Law & Order or CSI and not viewed them as career inspiration. But for graduate student Nikita Gudekar, all she could think about was the science behind their techniques. As a child, Gudekar thought she could use the scientific techniques to catch the criminals, and as she grew up that initial goal evolved into working in the lab of Michael Petris in Bond LSC. 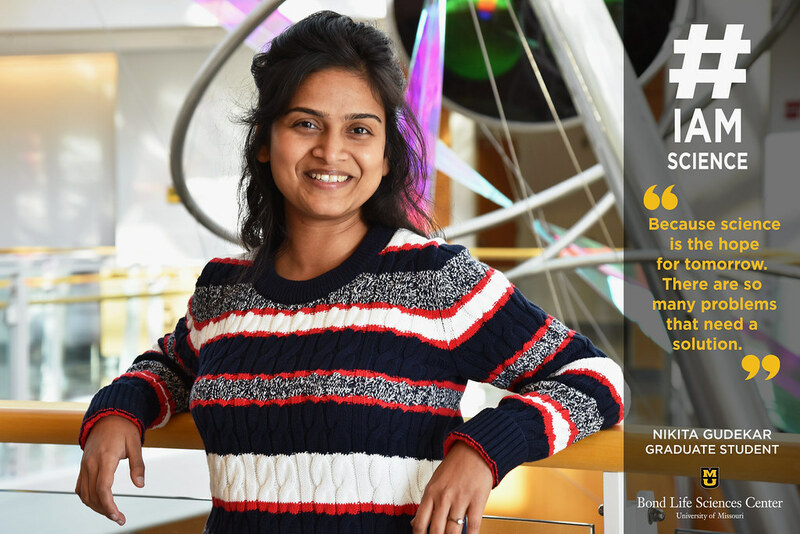 Gudekar, originally from Mumbai, India, received her undergraduate study in Mumbai before furthering her education at Mizzou. Gudekar is now a biological sciences graduate student and uses a bit different techniques to understand the effect of copper on the body and its role in diseases. The lab’s main focus is understanding the micronutrient copper and how changes in its utilization and distribution could result in a disease. 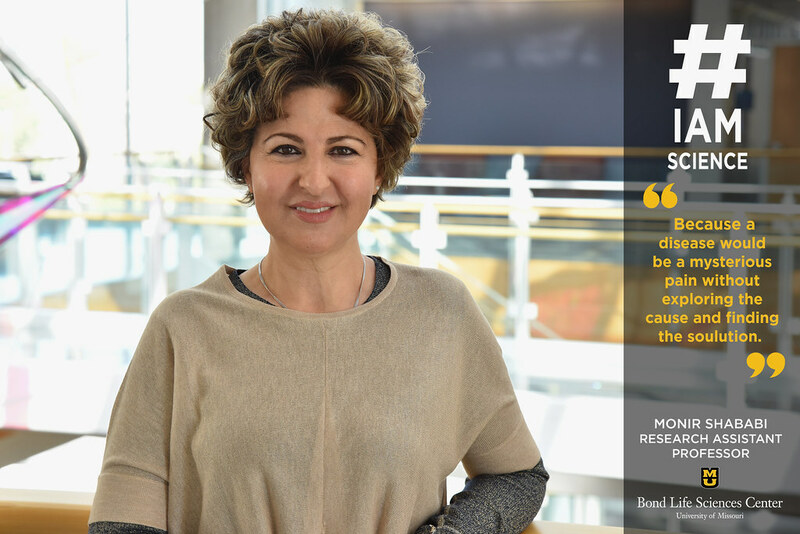 During her years in the Petris lab she has discovered breakthroughs in the world of copper-related research that could have wide applications in understanding important diseases. Copper isn’t an vitamin or mineral that comes to mind when like the zinc, vitamin D or calcium you see in supplements in the grocery store, but it’s essential for life and plays a role in many processes within cells. Menkes disease is a genetic disorder that results in poor uptake and distribution of copper to cells. The incidence of this disease is estimated to be one in 100,000 newborns, according to U.S. National Library of Medicine. Infants with Menkes disease typically begin to develop symptoms during infancy and rarely live past the first few years of life. Abnormally high accumulation of copper in kidneys and low-level accumulation in the liver and brain, cause visible symptoms like sparse hair, loose skin and failure to grow. After four years researching every day, Gudekar feels like her career is on the path toward what she dreamed about watching her childhood crime shows. Hunting in the dark is opposite of boring for Gudekar. Research Assistant Professor Monir Shababi and mothers of SMARD children started out as friends on Facebook. Now, they’re friends for a lifetime. It was an unexpected turn for someone who spends most of her professional life in a lab. SMARD1 is an acronym for the rare genetic neuromuscular disease spinal muscular atrophy with respiratory distress, which has been the focus of Shababi’s research for the past five years. While it shares part of its name with the better known spinal muscular atrophy (SMA), the disease-causing gene is not the same. Both diseases target the lumbar motor neurons and cause muscle atrophy, diaphragmatic paralysis and respiratory complications are the first and most devastating symptom of SMARD. Shababi ran into the obstacle of funding. Her once Facebook friends were there to help Shababi face this drawback. Shababi met the Sims daughter Catherine a few weeks ago. Catherine is five years old and lives with the disease. 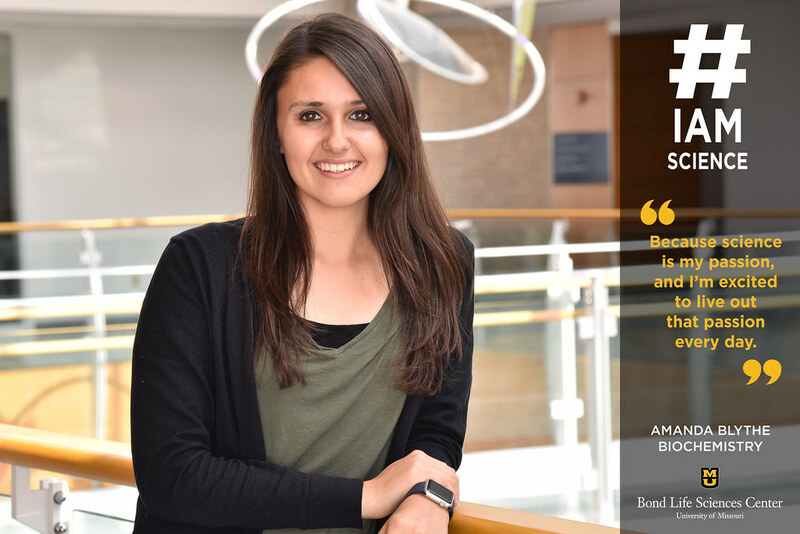 Shababi — who works with Dr. Chris Lorson at Bond LSC — began her life career in science at the University of Tabriz in Iran studying plant pathology. She moved to America with her husband, who accepted a research job in MU. 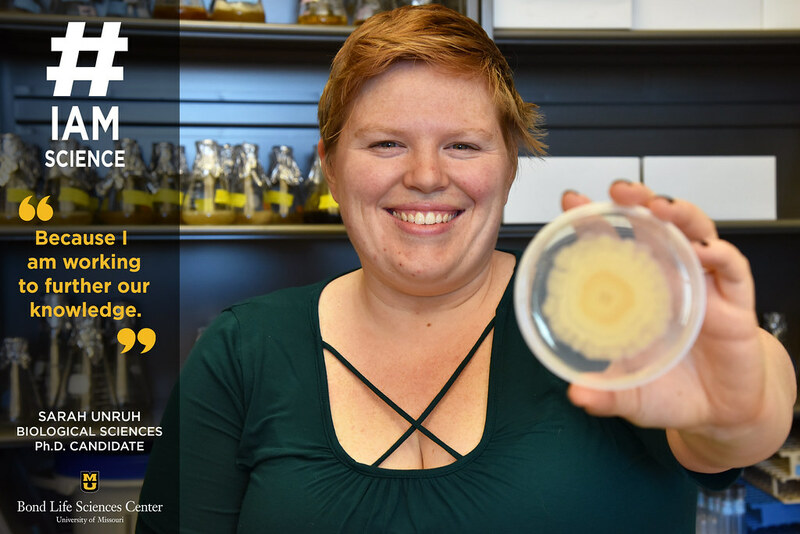 She then got her masters and Ph.D. through the university, finishing her Ph.D. in Dr. James Schoelz lab studying gene regulation in a plant virus. She then had two postdoctoral positions working on gene regulation in yeast and bacteria. Even if Shababi doesn’t get the expected results, every day in the lab is a new victory for her. She has developed a new mouse model for SMARD1 and injects them with the therapeutic virus at different times with different dosages to determine the therapeutic window and proper dosing for the vector. Shababi previously tested only black mice but now tests new white mice born with SMARD. To move the research further toward clinical trials, the lab aims to use a more advanced model such as a human primate. “We are hoping to advance from the mice research to an animal closer to humans,” Shababi said. With hopeful new advancements in the future, there is only a positive outlook for the future of treatment. 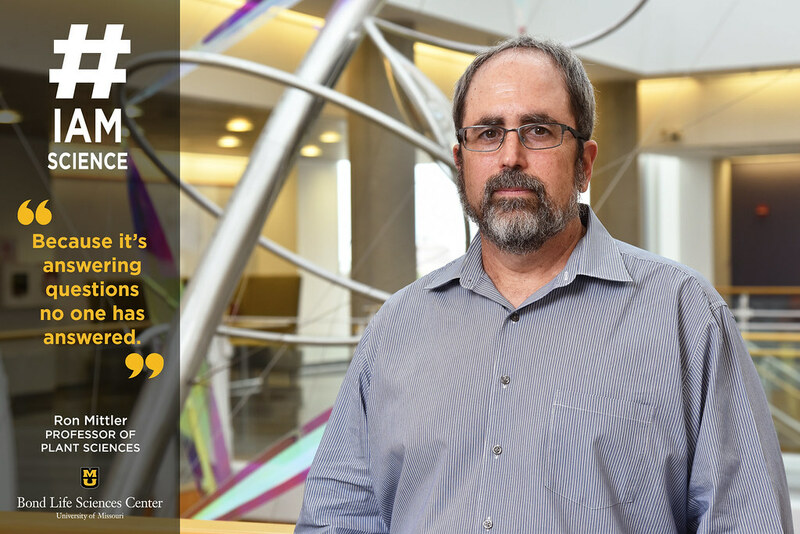 When Will Costigan came to MU he knew he wanted to do research, but wasn’t sure what exactly. 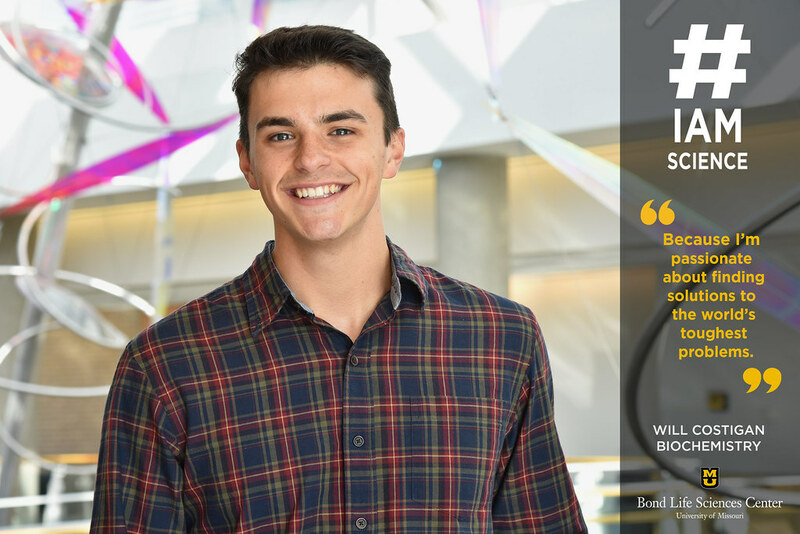 Costigan joined Freshman Research in Plant Sciences (FRIPS) the first moment he could his freshman year to explore his research options. So, he started working in Scott Peck’s lab a year ago, earlier than many of his peers. Costigan started off like most people who are new to a lab. He cleaned the dishes, cared for the plants and learned the knowledge needed to research. The Peck lab studies how plants adapt to changes in their environment and infections. This research has implication for both crop resistance and food security. Costigan understands he may not be directly helping someone, but the impact is there. Costigan may only be a sophomore but he plans on getting a Ph. D.
You could credit a high school career fair to Amanda Blythe’s early success or simply luck. Either way, Blythe was younger than most when her research was first published. This find launched Blythe’s beginnings in the world of science. Blythe’s path continued, leading her to Paula McSteen’s lab at Bond LSC. Blythe is going on her fourth year in the lab. Currently, she works with specific corn mutants to better understand how to increase crop yield. Blythe has narrowed in on a mutant called Suppressor of Sessile Spikelet 3 (Sos3), which produces single instead of the normal paired spikelets. When you look at an Sos3 ear, you can see the gaps between the rows of kernels. Blythe is trying to identify the gene that produces paired spikelets in corn, which could lead to higher yield in other grasses such as rice and wheat. Blythe sees the importance in creating high yield, but she doesn’t see herself doing plant research for the rest of her life. Blythe pictures herself in pharmaceutical research. Blythe’s fire for research won’t be burning out anytime soon, and her next published article could be in corn or pharmaceutical research, or even both. Like with any family, a new addition brings possibility and excitement. For Bond LSC, three new faculty promise to enrich research at the University of Missouri by working together across disciplines. Ron Mittler, Wes Warren and Bing Yang all joined Bond LSC recently to continue their research careers. Bond LSC Interim Director Walter Gassmann said these strategic hires are years in the making and represent how departments and centers come together with a unified goal for MU. Each researcher comes with a reputation that precedes him. It only takes one look at the framed covers of Nature Magazine lined up in a row in Wes Warren’s office to see evidence of that. The comparative geneticist was recruited from Washington University and has published work in Nature that sequenced the genomes of animals from the orangutan and the gibbon to the elephant shark and the platypus. His shared appointment as a Bond LSC investigator and professor of genomics in the Department of Animal Sciences, College of Agriculture, Food and Natural Resources, in conjunction with the School of Medicine, College of Veterinary Medicine and the MU Informatics Institute, gives him the opportunity to more easily move his research forward. Yang brings a different expertise from Iowa State University where he spent years studying bacterial diseases of rice. His joint appointment as a professor of plant sciences comes from a partnership with the Donald Danforth Plant Science Center in St. Louis. His research began by looking at plant disease from the bacterial side, but has evolved to also study its host’s interaction. Mittler brings a different expertise in plant science to Bond LSC. Most recently at the University of North Texas, his work focused on cell-to-cell communication and how plants respond to multiple stressors — like heat and drought — at the same time. To do this, Mittler studies proteins with unknown functions. One he identified in plants deals with reactive oxygen species, which is a type of oxygen that becomes activated and can cause damage within cells in its toxic forms. The emphasis on connections across disciplines is key to the larger research goals within the University of Missouri System. Science and spaghetti are an unlikely combination. For Toni Morcos, this combination led her to research. Morcos is more than just understanding what the heck they were talking about. Working in Chris Lorson’s lab at Bond LSC, she studies spinal muscular atrophy (SMA). SMA is a genetic disease that most often affects the nervous system of children, causing muscle movement to deteriorate and leads to death. This research means creating new treatments to help those affected by SMA to save more lives at a sustainable price. Morcos’ family dinners may not have been like most families, but those talks over spaghetti caused her to advocate for others and science. She plans on going to medical school where she wants to help those in the health care system. In that light, she studies Arabic alongside biology and currently volunteers through refugee and immigration services. As an in-home tutor she teaches English to refugees and helps them become more culturally educated on American systems. And one of the most difficult of those systems to navigate is the health care system. This pursuit of new knowledge and desire to understand drives Morcos in life. Boring may not be the first word that comes to mind when you think of someone’s research story. 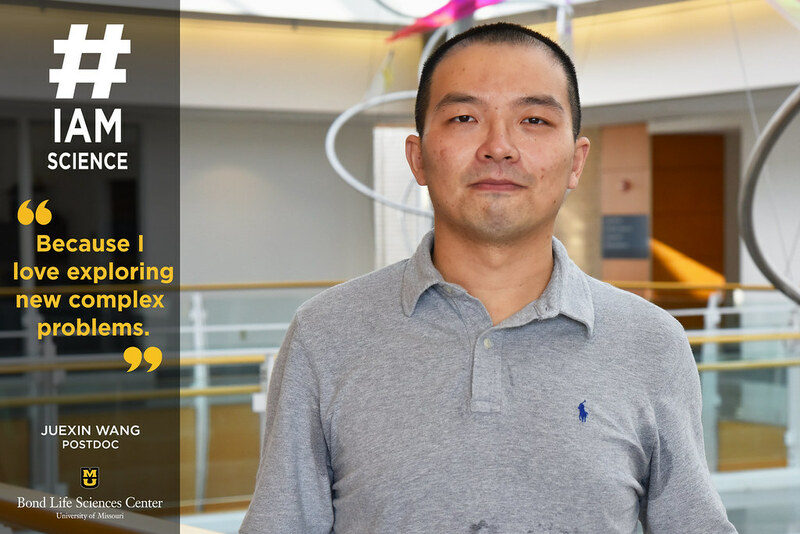 But for Juexin Wang, it was a dull job that steered him toward research. Wang went back to school for his masters and Ph.D. in Northeast China. During his Ph.D., Wang had an opportunity to collaborate with Dong Xu in Bond LSC, and he took the chance to come to the states. Eight years later you can find Wang going back and forth between the School of Medicine and Bond LSC. His research works with both Dong Xu and Trupti Joshi to combine biology and data sets, a field known as bioinformatics. Wang’s research involves creating new tools and algorithms for the data sets. Too much data, too little time, is why people like Wang are advancing in this science. Ron Mittler always thought he would be a veterinarian, until he was exposed to the lab. That “mistake” has turned into a career of research and teaching in academia. The latest chapter in that journey started in July when Mittler joined Bond LSC as a professor of plant sciences at Mizzou. Mittler’s research started with a focus on plants, digging into cell to cell signaling systems. As Mittler has let the questions dictate his research, his foundation in plant signaling proteins has expanded beyond plants. A key focus of Mittler’s past work has been on reactive oxygen species (ROS). ROS can be found in biological processes in both plants and animals. Mittler shed significant light on the ROS wave, and the role the wave plays in stress response in plants. Essentially, it is a mechanism for cells to communicate where the ROS within a cell stimulate the cell next to it, creating a domino effect, or wave, that sends a message to nearby cells. Mittler will be researching how these Reactive Oxygen Species and iron play a role in human disease. Questions may be the reason Mittler has taken so many turns in his research, but they are also what kept him motivated in research.